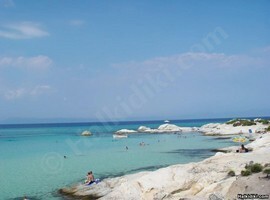 The region of Halkidiki (Chalkidiki) is situated in Northern Greece, southeast of Thessaloniki. 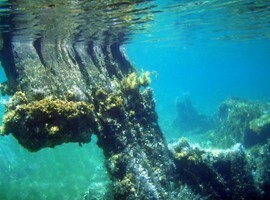 Halkidiki is a majestic place that attracts thousands of visitors every year, due to its splendid features. Throughout the region there is a great amount of natural beauty; indeed it is one of the most verdant areas in Greece, while it also has many springs, lakes and coves. 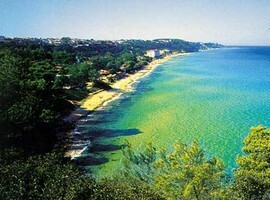 Halkidiki’s main attractions, though, are its stunning beaches, some of which practically flow into lush green forests. Halkidiki villages are very picturesque and have an intense traditional character, whether they are on rolling hillsides or by the seaside. 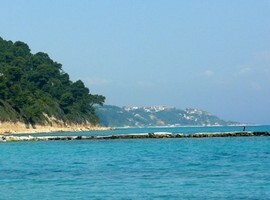 Kassandra, the western peninsula of Halkidiki is perhaps the most frequent visited of the three peninsulas because of its close proximity to Thessaloniki. It has an extremely well-developed tourism infrastructure, including many hotels, hotel apartments and rooms for rent, as well as many dining and nightlife venues catering to all types of visitors. 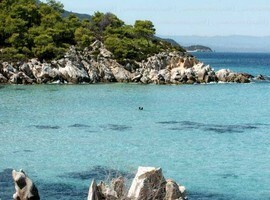 Kassandra boasts some of the finest sandy beaches in Halkidiki, as most of them combine sea and forest. 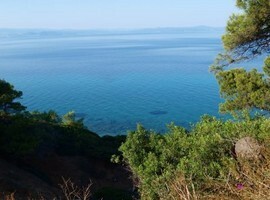 Sithonia is the central peninsula of Halkidiki is well-known mainly for its breathtaking natural beauty. In Sithonia, you will have the opportunity to stroll along magnificent sandy beaches and charming coves, among stunning landscapes and through picturesque villages. 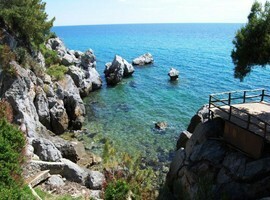 Seaside resorts in Halkidiki offer visitors splendid views of the shimmering blue waters of the Toronaios and the Sigitikos Gulfs, and sandy beaches lined with lush, green trees. Mountain village hotels provide visitors with the chance to spend their holidays in the beautiful natural settings of Halkidiki, surrounded by traditional architecture and picturesque landscape. The peninsulas of Halkidiki are packed with wonderful beaches that cater to all types of visitors, from those who want to lie on soft golden sands soaking up the sun’s rays to those who want to participate in beach and water sports. 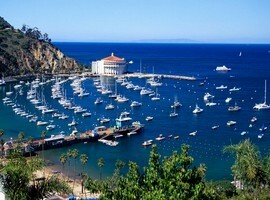 The Peninsula of Kassandra is famous for its beautiful stretches of sand, trimmed with evergreen trees that reach the beaches from the lush hills. 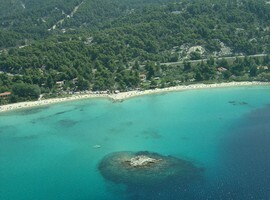 At the entrance of Kassandra are the beaches of Nea Moudania and Nea Potidea, which are fully organized. 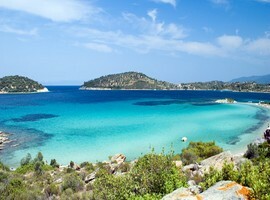 Along the eastern coast of Kassandra are the lovely beaches of Afitos, Pigadakia, Polychrono, Hanioti and Pefkohori (Pefkochori), all of which are sandy and have turquoise waters. 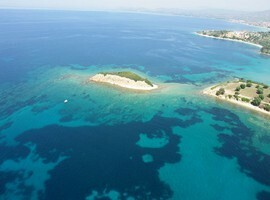 At the southern tip of Kassandra you will come across the beaches of Chryssi Ammos, Xyna and Agios Georgios. 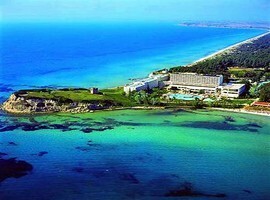 The western coast of Kassandra offers the medicinal springs of Agia Paraskevi, the sandy beach of Nea Skioni, the superb pebbly beach of Possidi, as well as the sandy beaches of Fourka, Siviri and Sani. 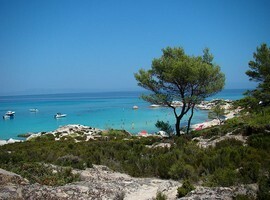 Most Kassandra Beaches are suitable for families, as they have relatively shallow waters and offer shade. 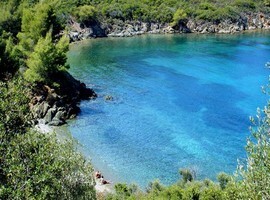 Sithonia Peninsula is also an ideal destination for beach lovers. 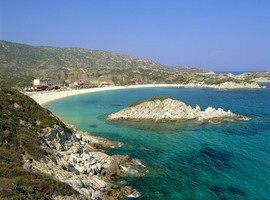 At the entrance of Sithonia are the long beaches of Nikiti, Kortessa and Lagada, settled beneath a lush hillside. 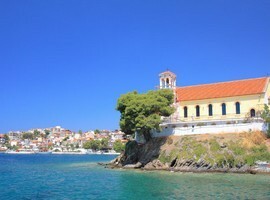 Along the western coast you will come across the quaint coves of Agios Ioannis, Kalogria, Spathies and Elia. 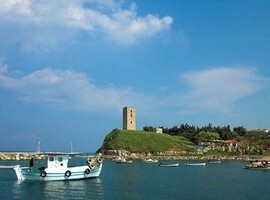 Further south is the seaside resort of Neos Marmaras and its beaches, as well as the beaches of Diaporti and Azapiko. 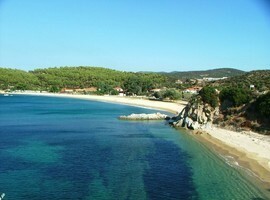 The sheltered beach of Porto Koufo is ideal for relaxation. 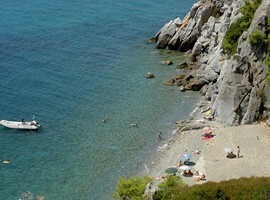 The southeastern coast offers the breathtaking beaches of Kalamitsi, Sykia, Kriaritsi and Klimataria.